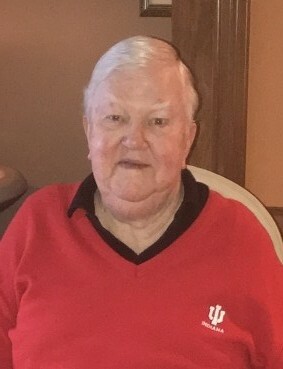 Bill L. Walker, 82, of Greenwood, passed away peacefully Monday, February 11, 2019, surrounded by his loving family. He was born to Robert and Linda (Chitwood) Walker on March 25, 1936 in Indianapolis. Bill was a businessman, spending the majority of his 60-year career working at and owning used car lots. He married the love of his life, Betty (Smith) Walker in Indianapolis in 1957. Bill loved sports; including I.U. Basketball, the Indianapolis Colts, and NASCAR. Bill was witty, clever, and enjoyed different types of trivia; including, geography, numbers, and statistics. Bill had a phenomenal memory. He was a very giving man, always helping others. Bill was a very social man, never meeting a stranger. Bill enjoyed spending time and vacationing in Florida with his family and friends. He was a very loving husband, father, and grandfather. He would do anything he could for them. He was a past member Greenwood Christian Church. Bill was loved by all who had the privilege of meeting him. Bill is survived by his wife, Betty (Smith) Walker of Greenwood; his children, Pam Weidner of Greenwood and Kathy (Phil) Mascari of Greenwood; his daughter-in-law, Lisa Walker of Franklin; his eight grandchildren, Jennifer, Justin, Briana, Katlyn, Maci, Alex, Lindsey and Chris; and his five great-grandchildren, Corbin, Olivia, Shelby, Alaina, and Bryce. Bill was preceded in death by his parents, Robert and Linda (Chitwood) Walker; his son, Keith Walker; his brothers, Robert, Forrest, Rollin, Doug, and Kenny; and his four sisters, Patty, Sharon, Joyce, and Maynell. A memorial service will be held on Saturday, February 16th at 12 p.m. at Jessen Funeral Home, 729 N. U.S. Hwy 31, Whiteland, IN 46184. Friends and family may gather from 10 a.m. until time of service.